There are many teachers at school, and students can see that there are alternatives. 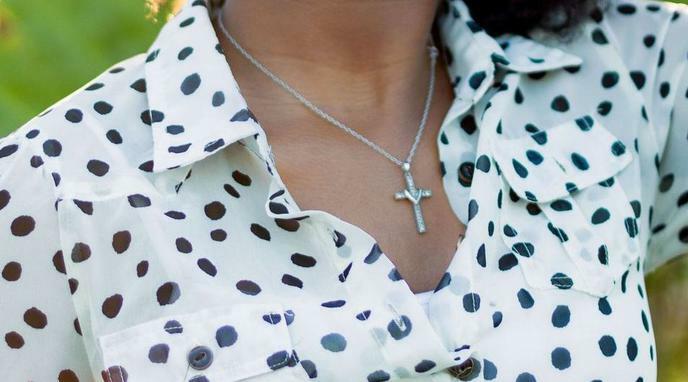 Allowing teachers wear religious symbols at school promotes harmony and tolerance. Teachers alter lessons and omit certain activities to better meet the needs of a diverse religious population. For example because some religions do not celebrate Halloween, teachers alter art activities or remove the activity or books if they do not reflect the beliefs of the students, even if it is one student. With this respect that is shown, teachers should have the same respect shown to their beliefs, jewelry, and garb. Some traditional headgear and clothing are not merely symbols and are not really for displaying one's affiliation but rather for upholding one's traditional lifestyle. These should be permitted and welcomed for teachers to wear as an example to children of unity in diversity. Students are confronted daily by symbols, both positive and negative. A cross or religious symbol would only serve as a positive symbol. The symbol will not change the influence, positive or negative, of what their parents have taught them. Children should learn to be comfortable around people with differing belief systems. At most schools a single confession has the vast majority. A teacher with whom a child is especially close has more influence over him/her and can more easily sway the child's opinion.